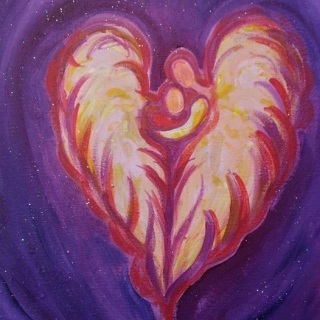 I love to create images from the Spirit World to inspire others to know their Spiritual Truth & True Nature. 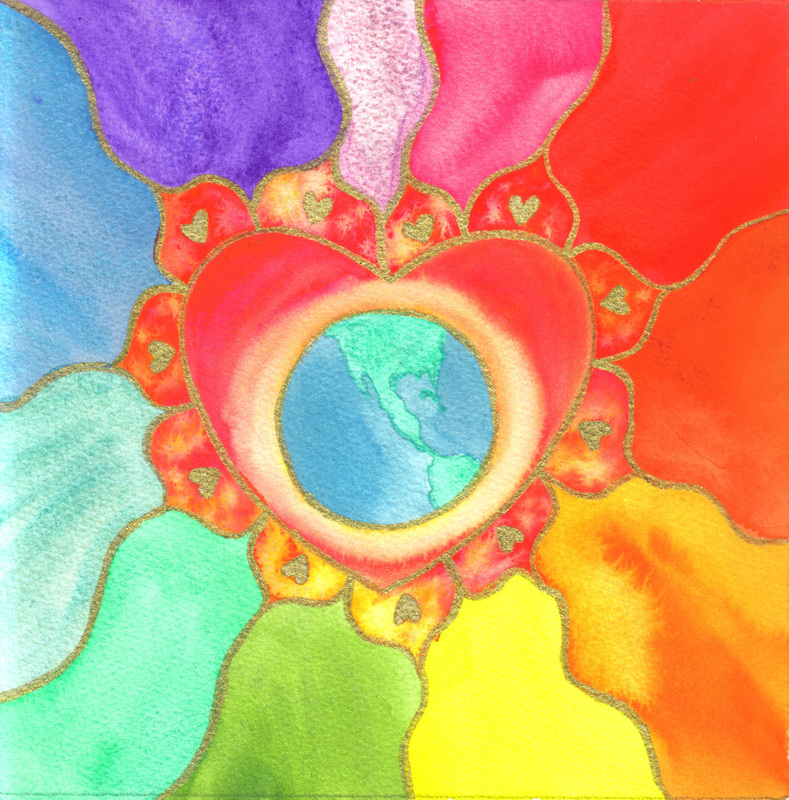 Each piece radiates its Love Light energy into the space it occupies. That positive healing energy infuses the space for years to come, as well as the viewers. I believe its important to have original art in your space. So you receive the original energy from the painting. I only use the highest grade of materials, crystals, charged Reiki water, and prayer while creating this work. 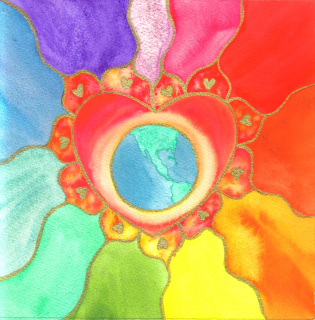 I feel very honored to be the channel for this work with the Angels and Ascended Masters. If you are interested in a custom piece, please contact me so we may discuss the wonderful possibility of what the Spirit World has to offer you. 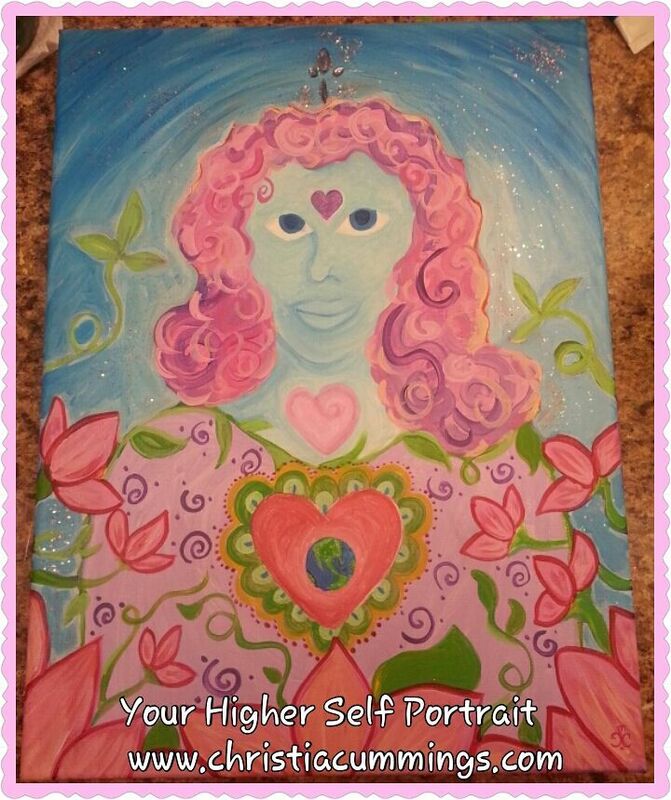 All of the above images were used in my Angelic Heart Oracle Deck and Book set! Would you like my art on a t-shirt, pillow, mug, etc. shop my cafepress shop. Own your very own custom healing Mandala! Each Rainbow Mandala is created with the highest quality of pure mineral pigments, Fabriano watercolor paper, and Crystal Reiki infused water. Includes priority mail shipping. Christia connects with your Angels through prayer and meditation. After receiving guidance from them, she brings forth the energy of their LOVE for YOU, and channels the energy into the painting. The Angels have expressed that once the painting is in your space, it allows for their energy to come through the painting. The painting is a visual reminder that you have unseen helpers always by your side. You can customize your colors or let your Angels pick them for you. They are on canvas and acrylic and mixed media. YES! 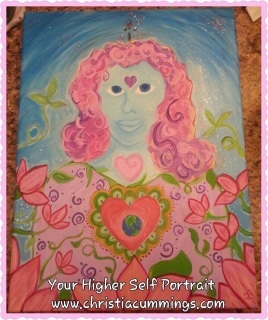 I want to own a high vibration custom painting!